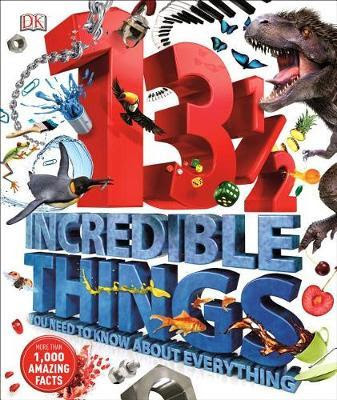 13 1/2 Incredible Things You Need To Know About Everything is an intriguing and captivating book for the child that likes to ask questions about science, technology and history. Why is a marathon not 40 km long? Did the space program invent velcro? Why do chameleons change colour? Can a T. rex be cloned? This modern encyclopedia covers 80 topics from diamonds to volcanoes, dinosaurs to helicopters, fruit to cats, insects to whales, vikings to sports equipment and much more. Each topic is explored through 13 and one half facts on a double page spread. The one half fact is where a myth is busted about the topic. Many of these pages include an exploded image or an extra fact box with a labelled illustration. 13 1/2 Incredible Things You Need To Know About Everything will quench the thirst of curious readers and will encourage them to seek out information about their favourite themes at a deeper level.